This 2.2 million gsf multi-phase mixed-use development is being designed over US I-395 on a seven acre site covering three city blocks. 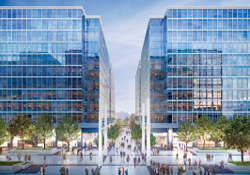 The site will be comprised of four office buildings and one residential building, 63,000 gsf retail, and five-levels of below grade parking for 1,146 cars and 440 bicycles. 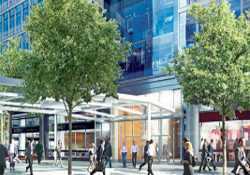 It will be the first U.S. LEED Platinum-certified urban air rights development. 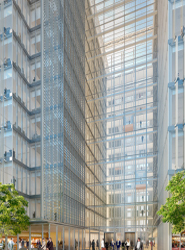 250 Massachusetts Avenue - 546,740 gsf 12-story office building. 200 Massachusetts Avenue - 406,996 gsf 12-story office building. 600 Second Street - 180,384 gsf 13-story office building. 201 F Street – 297,311 gsf 12-story residential building. 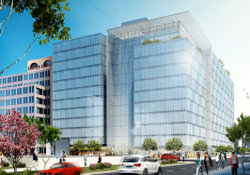 200 F Street – 685,430 gsf 12-story office building.